A little help from our Norwegian members would be appreciated. 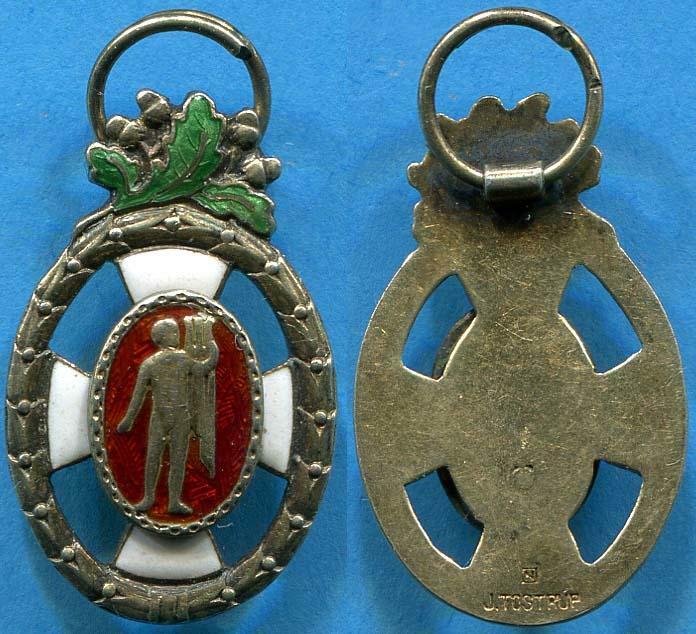 I have had this miniature medal for some time, I cannot figure out what it is, but am hoping for a little help here. I assume it's Norwegian because it's made by Tostrup, but it can of course be from somewhere else. Any help here? Yes, Tostrup was a Norwegian firm making a lot of medals and orders, until it went bankrupt in 1993. I do not know this medal, as it is a private, unofficial medal. It is most likely related to a choir, music orchestra, a guild of traders, merchants, artisans or something like that. Maybe a medal of merit for them. 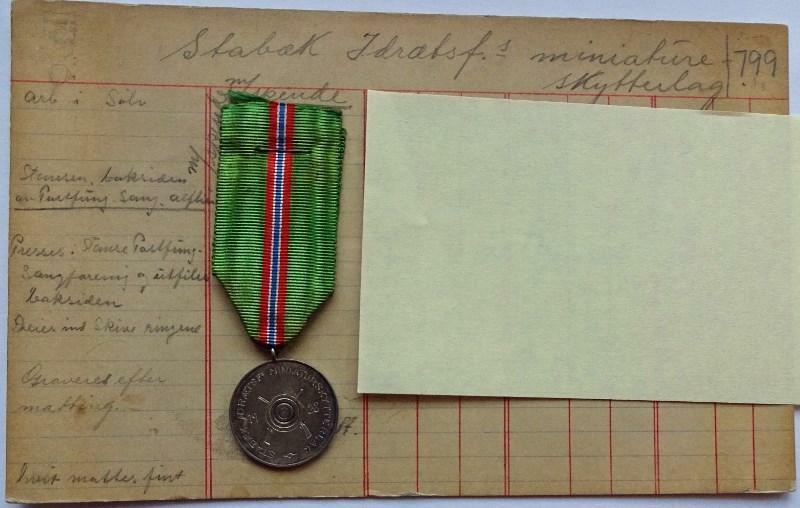 I'm afraid I cannot be of any more help, since there are several houndred Norwegian medals like this, and hardly anyone are fully identified. But it is a nice and well made medal. I wonder what happenned to the Tostrup records after liquidisation as they would have the answer. I suspect it is an award for the Norwegian equivalent of a national eisteddfod. No, you don't want to know that Some years ago I found a box at a fair with many hundred cards like this, with a medal, badge or miniature medal stapled to each card. It was the leftovers from Tostrup's archive. Behind the post it-note there are dates and amount of medals delivered from Tostrup at each date. It would have been a perfect source for putting together a catalog of Tostrups production, and so far to my knowledge, the only way to propper ID all the different medals. However all the official and more expensive medal cards were long gone from the box. All cards are numbered, this is card 799. Quite a lot of the cards were missing. And the dealer's price was not of this world. There was no way I could buy the incomplete remains of the archive. Thank you for your opinion allthough I had hoped for an ID. So it still remains a mystery.